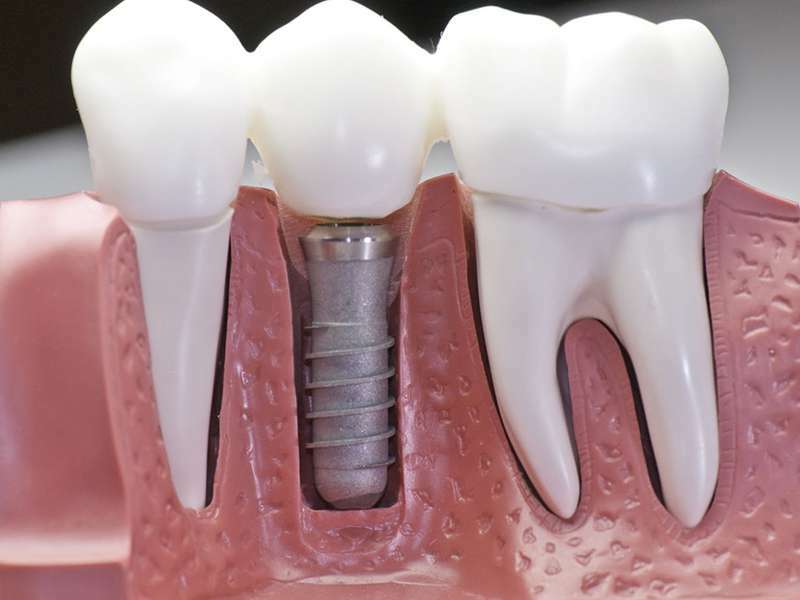 A dental implant is a replacement tooth root, which almost looks like a screw. Made of titanium, dental implants are placed in the socket of the missing teeth, and as the healing starts, the implant becomes a permanent part of the jawbone. Next, an abutment is placed on the implant, which serves as a connector between the replacement teeth and implant. The replacement is designed after taking bite impressions of the patient, so as to match the natural teeth, to the best possible extent. In rare cases, bone grafts might be required. First and foremost, dental implants become a part of the bone, so in a way, this is more of a permanent solution. Secondly, implants are super durable, and with basic care as recommended by your dentist, you can expect these to last for years. Implants are also a great choice for most patients, not considering a few exceptions. Unlike bridges, which require other teeth to be reduced, implants don’t have any such additional consequences. Not to forget, eating and talking with dental implants is much better than using dentures. Not all clinics offer dental implants, so check for the most reputed one in your area. Also, the expertise and experience of the dentist with regards to implantology do matter, and as a new patient, you have every right to ask relevant questions with regards to qualifications and accreditations. There is no denying that getting dental implants is expensive, especially when compared to dentures, but considering the benefits, the price is worth paying. However, it is also a good idea to know the costs, mainly because insurance generally doesn’t pay for the treatment, unless you have a cover that specifically includes dental implants. Finally, talk to your dentist in detail to know more on dental implants. A few tests and diagnostic tools might be required before the expert gives an opinion on whether this is the best choice for you.